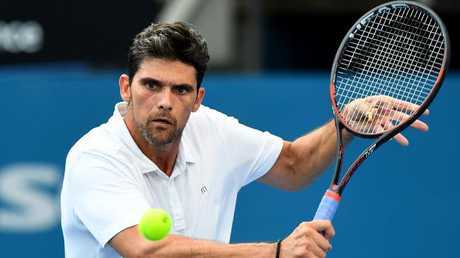 FORMER Wimbledon runner-up Mark Philippoussis has warned fellow Australian Nick Kyrgios that talent alone won't get him to the top and that his combustible compatriot "needs to step it up". 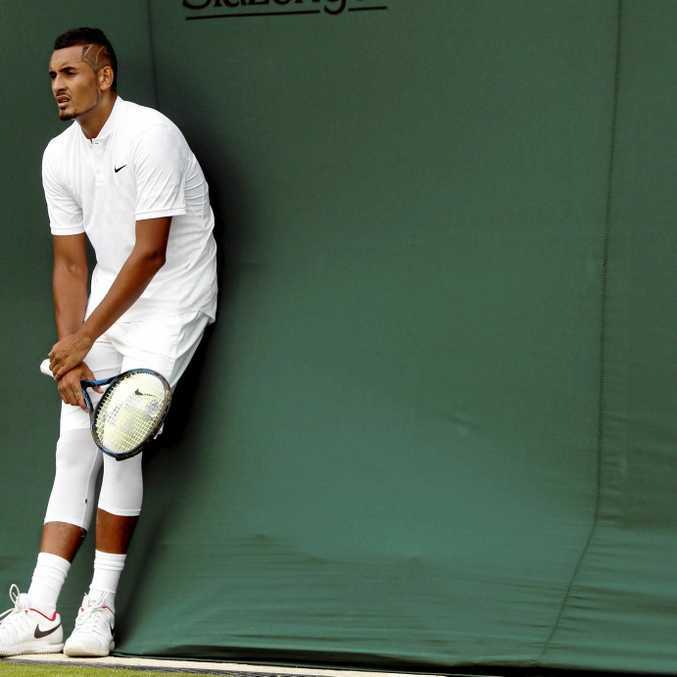 Kyrgios, who shot to fame when he shocked Rafael Nadal at the All England Club on his way to the quarter-finals in 2014, is still waiting to convert his natural touch for the sport into grand slam silverware. Now 23, Kyrgios has not got beyond the last-16 of a grand slam since making the quarter-finals at the Australian Open in 2015. At Wimbledon this year, his challenge fizzled out in the third round to Kei Nishikori, just days after accusations from former women's champion Marion Bartoli that he was wasting his career. "Nick is part of the next generation and the whole conversation but he will have to step it up," said Philippoussis who was runner-up to Roger Federer in the Wimbledon final in 2003. "He has got all the talent in the world, everyone knows that, but just having talent alone won't get you there. "It's very important to improve other things - to get strong mentally and physically. Those are the two areas he would agree that he needs to improve. "He needs to get on that pathway where he will be stronger, better and hungrier." Philippoussis, now 41 years old, was a two-time runner-up at the slams before his career was blighted by a series of struggles with knee injuries. As well as losing to Federer in straight sets in the 2003 Wimbledon final, he was defeated by compatriot Pat Rafter in the 1998 US Open championship match. He finished his career with 11 titles and a best ranking of eight in the world. Kyrgios currently has four titles and is ranked at 18 having achieved a career best of 13 two years ago. He has become associated more with clashes with authority than his achievements on court. Philippoussis said Kyrgios should use fellow young star Alexander Zverev as a role model. The 21-year-old German is ranked at three and has eight titles, four of which have come at the Masters level. "Zverev has the whole package," said Philippoussis who is at Wimbledon to play in the invitational tournament. "With his mind and work ethic, he's the one I have my money on. "Does Nick have the ability and the game? Absolutely. But there are other things." Meanwhile, Philippoussis described 36-year-old Federer as "an inspiration" as the Swiss star chases a ninth Wimbledon title. "It's incredible that he's still playing," said the Australian on the 15th anniversary of his loss to the 20-time major winner in the 2003 Wimbledon final. "I have so much respect for the guy in that he's as hungry as ever. "When he's in trouble, he usually has four options. That's the difference. Some other players may have two options; others just one."